Started in 1994, Core and Ore specialise in supplying hard surfaces for internal and external use. We offer stone, porcelain, glass, wood, metal and ceramic. Over the years the product offering has increased to include a full range of bathroom products, architectural furniture, and associated fixed components in a property. Visit our showroom in Clifton Village, Bristol for personalised service and advice. Paul Whittaker Bathrooms and Wetrooms specialise in providing a fully managed bathroom service throughout Bristol and Gloucestershire. Choosing the right home improvement company for quality bathrooms and wetrooms is one of the most important decisions you’ll make when thinking about improving your home. It’s not just about the price, it’s about the quality of the products, professional installation and value for money. Paul Whittaker Bathrooms and Wetrooms understand that it means so much when you finally find a home improvement company who you feel you can trust to do the job properly – first time, every time. I create, validify and render your bathroom so you can see the room in the most realistic method in the bathroom industry. Charges vary depending on arrangement. Send me a pm or contact to see how I can help. Threesixty Services is organised and managed with one thing in mind: to deliver high quality workmanship and the best customer service in bathroom fitting and plumbing. Established in 2008, Threesixty has a strong reputation for fitting bespoke bathrooms in the local areas of Bristol and Bath. With a substantial portfolio of luxury bathrooms, family bathrooms and wetrooms, we pride ourselves on our ability to work effectively with other designers, as well as creating our own designs for clients. We also care a great deal about the environment. With two eco vans on the road and a wide range of eco products in our showroom, we are happy to advise you on environmentally friendly solutions, specific to your needs. We look forward to welcoming you at our showroom on Zetland Road (just off Gloucester Road) in Bristol. Working in collaboration with skilled crafts-people, Deana Ashby orchestrates thoughtful and liveable interior spaces. 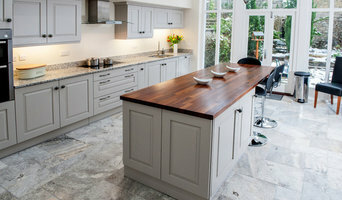 Her work has featured in many leading interiors magazines and journals such as Homes and Antiques, Kitchens - Bedrooms - Bathrooms, Homes and Gardens and she has been consistently recognised by industry awarding bodies receiving awards and accolades from the likes of KBBreview, DesignerKBB & Homes & Gardens. With a special interest in the design and specification of bespoke bathrooms and wetrooms she provides a tailored design consultancy service based from her studio in Chewton Mendip (near Wells, Bath and Bristol). VADO is a leading British brassware manufacturer providing high quality taps, showers, accessories and fittings to customers across the globe. PW Bathroom Design at Plumb Wales Ltd opened its doors to local tradesmen in South Wales early in 2008. With a combined experience of 60 years in the plumbing and heating industry, we have built up a loyal customer base and decided to expand into the retail sector with a large, successful showroom spanning two floors. We aim to be the number one choice for the bathroom in South Wales, offering a range of products from plumbing and installation parts to bathroom sanitary ware, brassware and tiles as well as much more. With many of our customers returning for help with further projects we pride ourselves on good, honest customer care. Rob Oakley bathrooms offer a complete Bathroom design and installation service, including wetrooms and plumbing services. Homerite is recognised for offering inspiration, a complete design package to suit every need and budget, supply only to full installation. With over twenty five years experience, an exceptional range of exclusive products, an in-house designer, installation team and project manager, we aim to inspire, design, plan and install your dream bathroom. We offer an extensive range of premier quality bathrooms, kitchens, and tiles from a range of leading manufacturers including Villeroy & Boch, Porcelanosa, Aqata, Pelipal, Crosswater, Simpsons, Bauhaus, Adamsez, Bagno Design, Bisque, Zehnder, VitrA, Burlington and many more. We have traded now for 29 years, and though through these years friendly happy faces (both customers and staff) have come and gone, our business model has never changed, customer satisfaction and swift helpful service. Whether we are supplying product alone or supplying and installing, we have the professionals with the right knowledge and expertise to help. Our in house designer creates the ideal solutions for you. Specialising in spacial awareness, functionality, quality of product and materials. Welcome to North Bristol Bathroom Showroom we sell a vast range of bathrooms to suit everyone's budget. We have access to many brands including Ideal Standard, Roca, Twyford Bathrooms, Ambiance Bain, Vado, Methven, lakes bathrooms, Rak Ceramics, Burlington bathrooms, Aquadart, Nuance, Waxman tiles plus lots more. 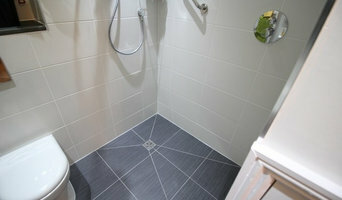 We also offer a free of charge bathroom survey and design service which allows you to see how you bathroom will look. we value ourselves on our great knowledge and customer service to deliver the bathroom you have always wanted. Our showroom is located within North Bristol Plumbing Supplies on the A38 in Almondsbury so if you looking to bring your bathroom to life pay us a visit. We are open 7.30am to 5.00pm Monday to Friday and 8.00am to 4.30pm Saturday. A quality Bristol bathroom designer will start by getting to know you, your family and your home, to understand how to create a bathroom perfectly tailored to how you live. Bathroom designs can vary hugely in spec depending on the size of the space and a good bathroom designer will be able to offer creative solutions that will still allow you to achieve the style you want in the space you have. 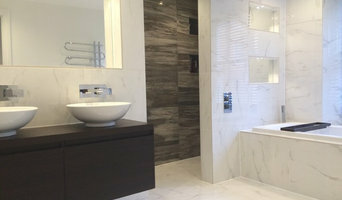 From wet rooms to cloakrooms to luxury ensuite bathrooms, bathroom design can be particularly tricky because of all the plumbing and infrastructure involved, so it’s handy to have bathroom fitters in Bristol on call who can handle any plumbing, wiring or structural questions that may arise. Many bathroom designers will also offer a full bathroom fitting service, using their network of Bristol bathroom fitters to ensure you get a perfect finish. The benefits of employing professional bathroom designers and bathroom fitters in Bristol include guidance and advice on how to make the best of a small bathroom space or how to create a truly luxury bathroom if you have room to spare. From clever bathroom layouts to the best bathroom furniture your designer can help you make the best decisions and offer ideas for how to create the bathroom of your dreams. It’s essential for your Bristol bathroom designer to understand your needs precisely in order to design and fit the bathroom that you want. Being upfront with your bathroom budget will allow your designer to advise on tailoring your design to your specifications as realistically as possible. 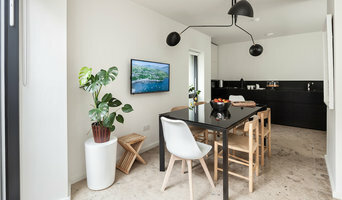 You can use Houzz to assist your design process by creating ideabooks that reflect your dream bathroom ideas and style, finding inspiration for colour palettes and materials for bathroom furniture, tiles, cabinets and bathroom suites all of which will be hugely helpful in guiding the process of your Bristol bathroom designer and bathroom fitters. Understanding your vision and any limitations will allow your designer to come up with creative ideas and solutions. A new bathroom won’t normally need planning permission unless it is part of a house extension or you are modifying a listed building, but it is always advisable to check with your local Planning Authority before giving the go-ahead to your bathroom fitters in Bristol. Building Regulations apply to the building of a brand-new bathroom, where there wasn’t one before. Floor structures may have to be evaluated to ensure that they can support the weight of a new bathroom and a full bath in use and in some cases work may be required to strengthen timber joists and boards. Your bathroom designer will be able to advise on bringing in a structural engineer or surveyor to assess the floor and, if necessary, produce the paperwork required by Building Control in order to commence the bathroom fitting or installation. How long have you been bathroom designers and/or fitters in Bristol? Find a bathroom designer on Houzz. Narrow your search in the Professionals section of the website to Bristol bathroom designers and bathroom fitters in Bristol. You can also look through Bristol photos to find a bathroom, wet room or cloakroom you like, then contact the professional who designed it and fitted it.